Dealing with returns is very expensive! Return shipping fees, staff time, fees, filing, restocking, improper return boxing... the list goes on and on. We are attempting to keep our prices as low as possible for our customers and still keep the doors open. In order to do this, we have to have a very strict return policy. PLEASE DO NOT PLACE AN ORDER FOR ANY OF OUR PRODUCTS UNLESS YOU ARE VERY SURE THAT IT IS WHAT YOU WANT. 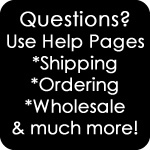 If you are ordering an item that you have questions about, please contact us before ordering! We love answering questions about the products and we do not want you to receive a product that you are not happy with and can't use. We are open 7 days a week so please take a moment and contact us. We are all professional artists and crafters on staff here and can help you. Getting either the Mini Jars or the 3/4oz jars before bulk ordering is a great idea. Our motto is "Let's get it right the first time!". For any of the above reasons, we will accept a return and we will pay return shipping. You need to within 14 days of receiving your order and let us know about the problem (please open your box the day it arrives, not the day you need to use the product). This deadline is FIRM. *Sale items, specialty items, and Red Room items are not returnable unless damaged. For any of the above reasons, we will accept a return. You will need to pay the return shipping plus a 20% restocking fee or a minimum of $5 (whichever is higher). All items must be in unused/unopened and resell-able. You have 30 days (firm) to contact us about the return. You will need to carefully pack the box and insure it against damage. If it arrives here damaged you will need to file a claim. Please contact us prior to returning (no exceptions). 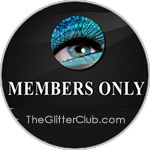 Note: Custom mixed glitters are not returnable! Please get samples before you order to make sure you like the mix. *Sale items, specialty items, and Red Room items are not returnable unless damaged. 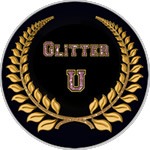 Boxed Glitter is not returnable- please get samples prior to ordering. For any of the above reasons, we will accept a return. You will need to pay the return shipping plus a 20% restocking fee. If you received free shipping on your order, that amount will be deducted from the refund you receive. All items must be in unused/unopened condition and resellable. You have 30 days (firm) to contact us about the return. You will need to carefully pack the box and insure it against damage. If it arrives here damaged you will need to file a claim. Please prior to returning (no exceptions). For any of the above reasons, we will not accept a return. If you plan to buy in bulk from us please take the time to contact us about the product(s) before you order. If samples are offered please get some. Comment: If you think you do not have time to get samples just think about how much of a rush you will be in if you get a product you cannot use! We are open 7 days a week and respond quickly to phone, messages, email, and tickets. 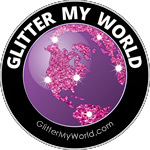 Exception: If you want to do a straight exchange and are willing to pay shipping, we can sometimes arrange an exchange. Give us a call and we can see what we can do. 888-833-7501. It is not environmentally friendly to have boxes going back and forth. 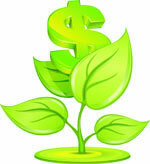 The most eco-friendly way to shop is to make sure that you are getting what you want/need the first time. Shipping fuel is expensive in more ways than one and wasting it has a drastic impact on our precious planet. 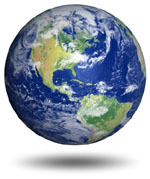 Be kind to your planet, and please contact us if you are unsure of a product. We are VERY accessible 7 days a week so please take the time to contact us with questions before ordering. We want you to be happy with every item you order! Call (888) 833-7501 or contact us for more options. If you qualify to do a return based on the above, please initiate a return and place a new order for what you need. When we receive your return we will issue the appropriate amount due. If your UPS box is stolen off your porch or was never delivered, it is covered by insurance. The first step is to check all around your house to make sure the delivery person did not leave it in a bush, carport, garage etc. The second step is to contact us in writing so we can contact UPS and put in a claim. It usually takes 8 days to get a claim approved with UPS. If the claim is accepted we will issue a refund. Please use a SAFE address when you checkout. More and more boxes are being stolen from unlocked boxes. We expect that you will work with this during this process. USPS insurance does not cover theft from your box or porch! If it is a Priority Mail box then please visit your local post office with your tracking number. The second step is to contact us in writing so we can contact USPS and put in a claim. It usually takes 10 to 30 days for USPS to settle a claim. If the claim is accepted we will issue a refund. Please use a SAFE address when you checkout. More and more boxes are being stolen from unlocked boxes. It is not our responsibility to verify your address, check to see if the address is secure, or be responsible for entering an unsafe address. This is the customer's responsibility. We expect that you will work with this during this process. We need to hear from you asap! There are time limits to filing claims, so please contact us within 14 days of your box being overdue. If a package arrives damaged we must be told within 3 day of receiving the package (or being notified by the shipping company). It is important not to throw out the box or use the contents of the package. For a damage claim to be successful, the shipping company must be able to visually verify the damage if they ask to inspect it. Once the claim is finished, the items can usually be dispensed with in whatever manner works best for you. If you do not follow these instructions, a claim cannot be processed and a refund will not be made. There are no exceptions to this. Damage to our boxes is rare, but it does happen. We ask for your assistance in working through the problem to a resolution.